Samsung has officially unveiled the new GALAXY S 4 smartphone today in New York, and is set to bring it to shelves in over 150 countries starting with next month. Just as expected, the new device will hit the market with top-of-the-line hardware specifications packed inside, starting with the 5-inch full HD (1920 x 1080 pixel) Super AMOLED touchscreen that can deliver a pixel density of 441 ppi. The screen is protected by Corning's new Gorilla Glass 3, which makes it very durable, yet it can also be operated with gloves. Depending on the market, the GALAXY S 4 will sport a 1.9GHz quad-core Qualcomm processor inside, or will be powered by Samsung's own 1.6GHz Exynos octa-core chip. The processor is paired with 2GB of RAM, and there is also a 2600mAh battery to offer increased usage time. Samsung will launch the smartphone in three configurations, based on the internal memory, namely 16GB, 32GB and 64GB, but will also enable users to expand the storage with the use of memory cards. The phone's specs list also includes WiFi a/b/g/n/ac, IR blaster, Bluetooth 4.0 + LE, NFC connectivity, MHL 2.0, and built-in GPS receiver. On the back, the upcoming device will feature a 13-megapixel photo snapper, with support for 1080p video recording, complemented by a 2MP front camera for making video calls. Samsung also packed the new GALAXY S 4 with HSPA+42 Mbps and 4G LTE connectivity, and claims that the LTE version supports up to 6 different band sets, so that it could be used in most LTE coverage areas. A TDD/FDD LTE Dual Mode version be launched later this year. 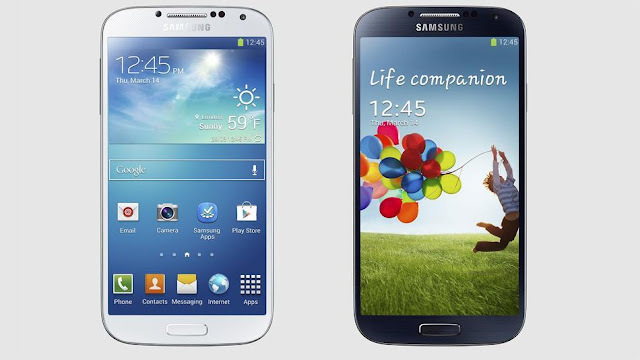 Set to arrive on shelves in Black Mist and White Frost initially, with more colors to follow later this year, GALAXY S 4 runs under Google's Android 4.2.2 Jelly Bean operating system. The handset measures 136.6 x 69.8 x 7.9mm (5.38 x 2.75 x 0.31 inch) and weighs 130g (4.59 ounces), while featuring the entire range of usual sensors, along with some new ones, namely temperature, humidity and IR for gestures.